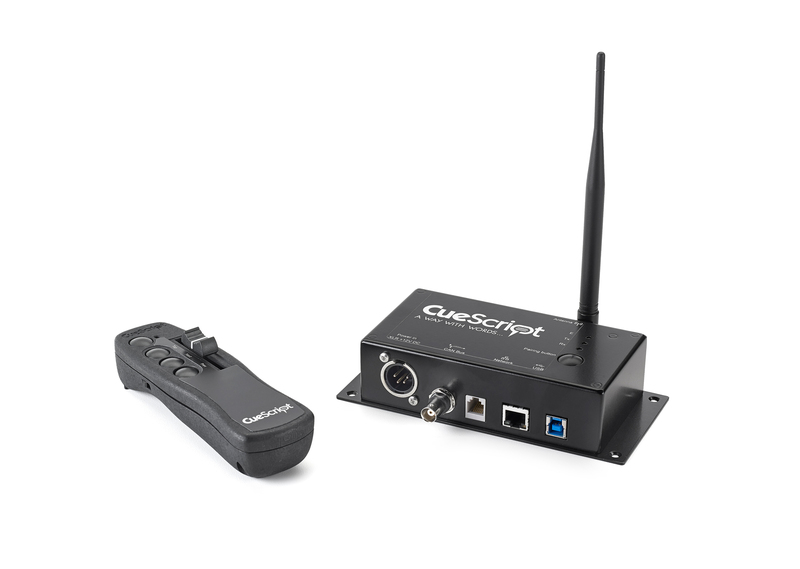 CueScript’s wireless hand control is a hand-held device designed to be used by the presenter/speaker to adjust the speed and direction of scrolling text on the prompter. 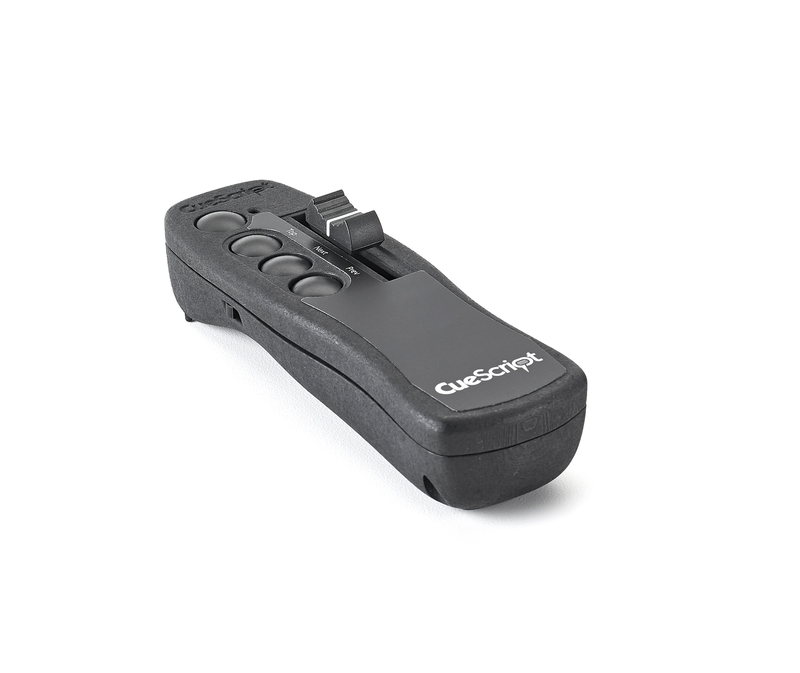 The CSSCW wireless hand control features a slider which provides easy adjustment of speed and direction of scroll, increased control and a comfortable, ergonomic feel. Quick command buttons are at the presenters’/speakers’ fingertips for fast navigation around the script and the ability to trigger configurable commands. Due to the CSSCW control being wireless and hand-held it allows for freedom of movement whilst maintaining control of the prompt. 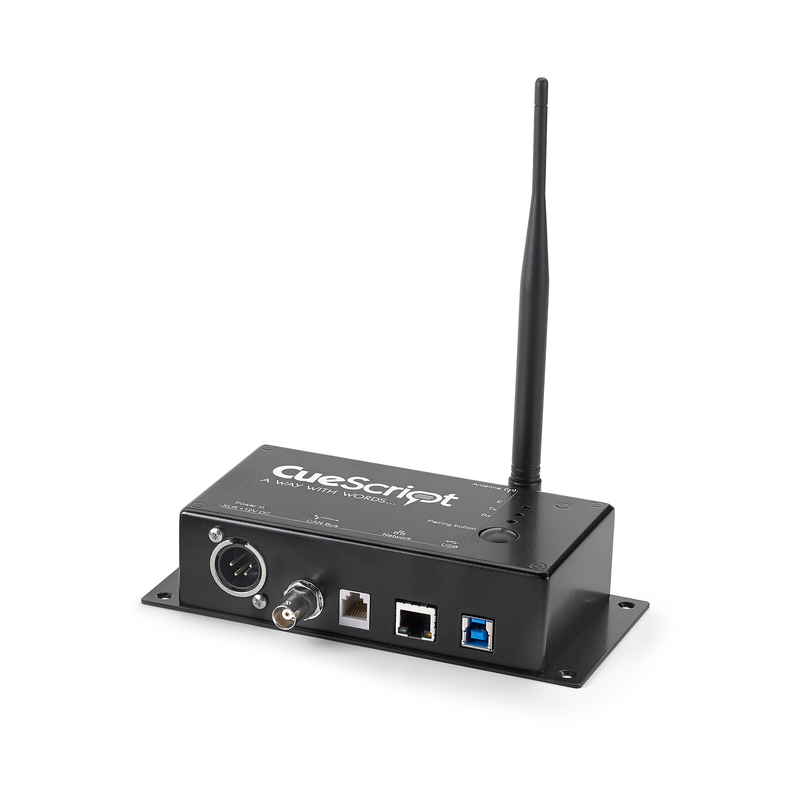 As with all CueScript scroll controls, the CSSCW receiver unit has Ethernet connectivity, as well as USB and CAN bus. Frequency: 915MHz (US model) and 868MHz (ROW). Distance: Up to 300m for 868MHz and 100m for 915MHz from transmitter (Wireless Hand unit) to the receiver (Receiver unit). The protocol allows multiple transmitter/receiver combinations to occupy the same frequency without interfering with each other. 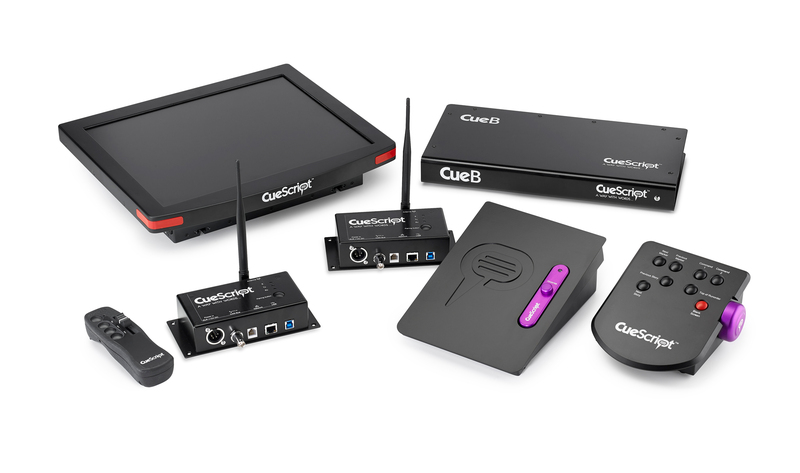 The Receiver unit can be connected to the CueiT software via USB, Ethernet or CAN Bus over coaxial cable. Wireless Hand unit features a slider for forward and reverse scrolling and buttons for Next Story, Previous Story, Top of Runorder and Blank Screen. The system has a duplex capability to give information back/forth to the controller and system. It can report an error at the receiver when a transmitter is out of range or has been switched off for more than 30 seconds.